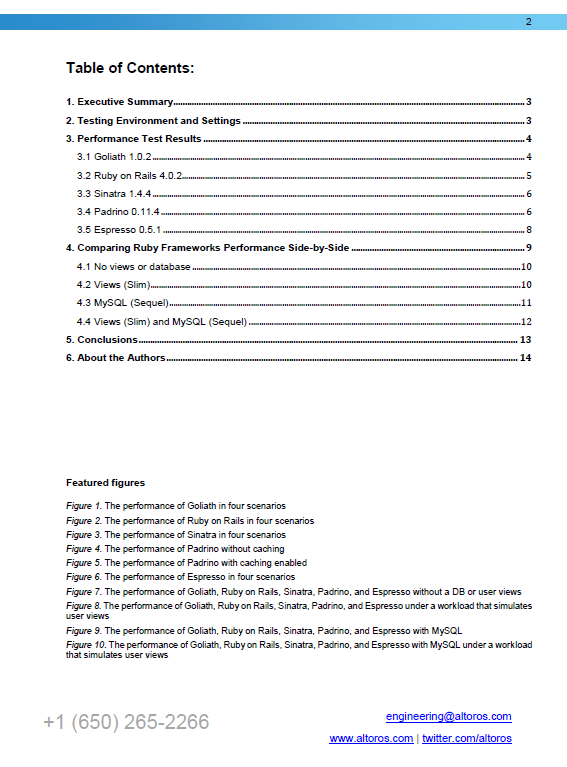 Download this 15-page performance benchmark that compares five popular Ruby frameworks: Goliath, Ruby on Rails, Sinatra, Padrino, and Espresso. Views (Slim): a workload that resembles users interacting with the application. 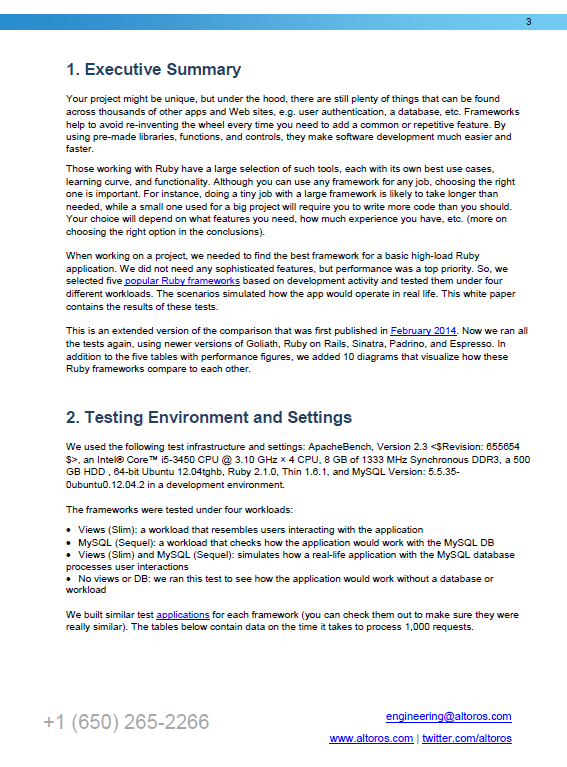 MySQL (Sequel): a workload that checks how the application would work with the MySQL database. Views (Slim) and MySQL (Sequel): simulates how a real-life application with the MySQL database processes user interaction. 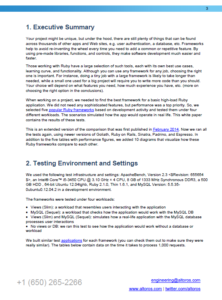 No views or a database: this test simulates how the application would behave without a database or workload. 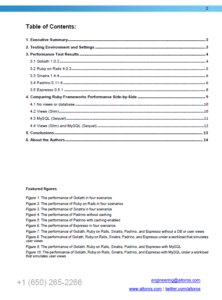 With five tables and ten diagrams, the technical paper also demonstrates how much time it takes for each of the frameworks to process 1,000 requests.